If you’re interested in learning to read music, play an instrument, study music theory, brush up on some pre-existing skills, or simply learn something new, then we’re here to help. With the resources available on the Internet, it’s now possible to teach yourself music online, from the comfort of your own home. So be sure to read through each section to see which type of learning, and which resources will be best for your learning style. But if you want a quick primer on it, try our article on the best ways to learn music online for free. 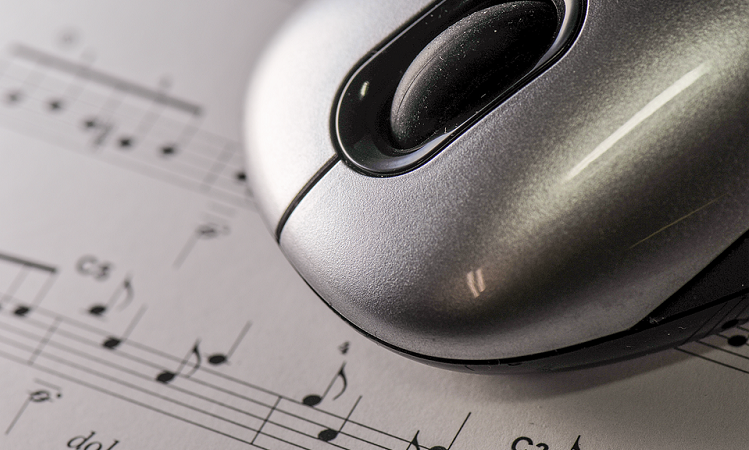 Online courses are one of the best ways to learn about music. Courses can come to you in a variety of ways, from being primarily text-heavy, to including illustrations and diagrams, to having step-by-step tutorials, or even a semester-long course taught by a university institution. 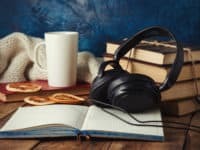 Here, we have a short list of different types of courses you can use to learn music, and links to the best resources we’ve found of that type. Be sure to check out a variety of different options we’ve listed until you find the one that’s right for you. There are many online courses that can teach you about basics of music, like theory, about certain instruments, how to read music, how to play your favorite songs, and more. 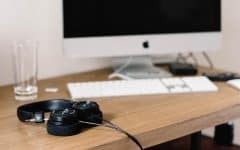 Courses work great if you’re just starting out and need some basic information, and want to follow along with a series of articles and tutorials that can help you track your progress. A great example of this is Alison – which is full of free online courses, including this one about music. 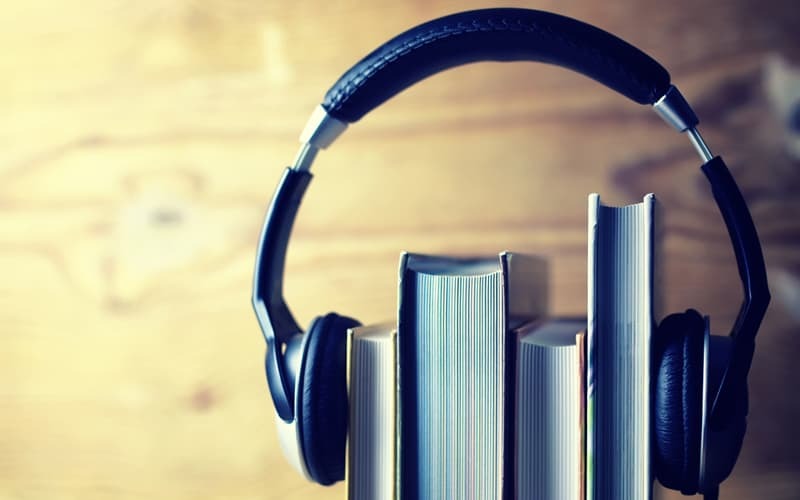 You can also check out Coursera, which has a variety of different courses available about music – so you can actually pick and choose which topics interest you more. 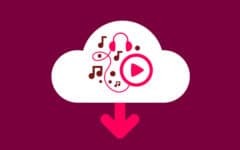 You can also try LearnToPlayMusic.com, which sells e-books and printed lesson books, and has videos to accompany their lessons on their YouTube channel, which contains over 2000 videos. 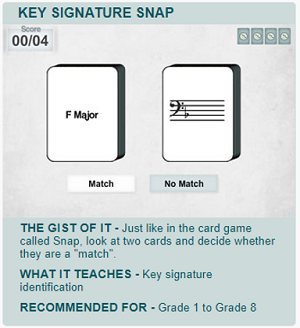 You can learn about music theory, specific instruments, how to play specific songs, and more. The advantage of taking a course is that you can usually learn entirely at your own pace. You can review topics whenever you like, and work as slow or as fast as you want. In general, though you’re dealing with simple text and images, rather than a person showing you what to do on your instrument. Videos on YouTube.com are a great way to learn to play music, as you can easily tune in at your convenience, and get the same visual experience of a real instructor. Instructional YouTube videos are great because you can watch a real person playing the instrument you are interested in, as you learn. 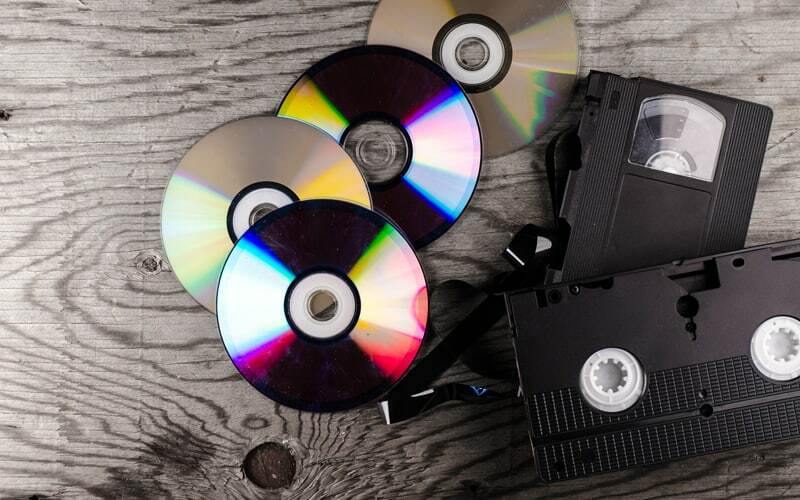 If you’re not familiar with it, check out this article to learn more about YouTube. 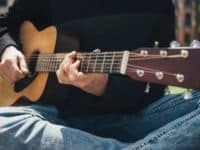 Especially with instruments like the piano, guitar, or violin, watching someone play the keys, strings, or frets you need to can really help you make progress with your own instrument; this is even more true if you’re using YouTube tutorials to learn how to play particular songs with your instrument. Here are our recommendations for the best YouTube channels that can teach you how to play music and learn to play instruments. The Online Piano and Violin Tutor channel has lessons on how to play the piano and the violin, from all levels of skill, including brand new beginner to advanced piano and violin techniques. 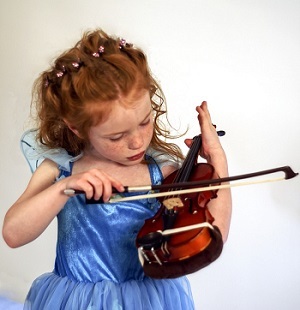 Be sure to check out their 20 complete lessons when you want to get started, and pick up things such as hold to properly hold your violin and bow, how to play your basic scales on the piano, and much more. And many more. 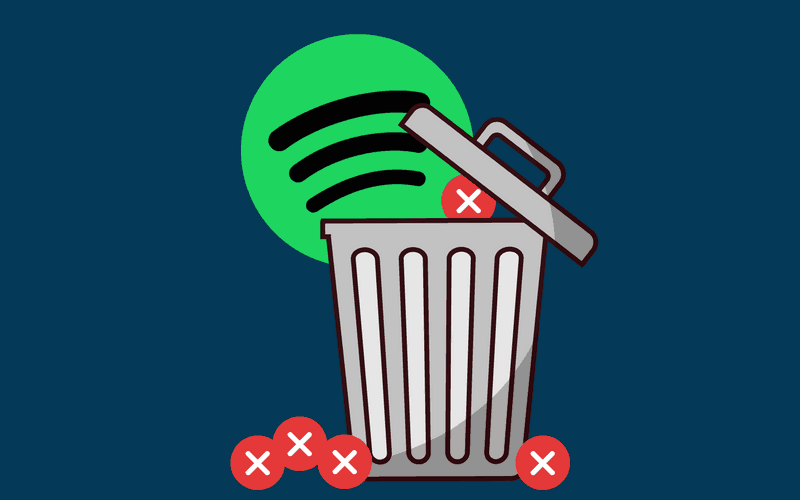 Be sure to take a look at their list of complete videos if you’re ready to learn to jam out to some of your favorite hits. As the title PianoVideoLessons suggests, this channel has simple video tutorials on how to play the piano, and allow you to follow along as you learn. With over 80 videos on Year 1 piano alone, you will be able to learn in extreme detail, with easy-to-follow, short lessons. Choose to watch the videos in order for the most effective way to work through learning the piano from video tutorials. One of the best features of the YouTube channel Drumeo is that they have videos featuring industry professionals, so you can actually learn to play the drums from watching some of your favorite drummers. There are hundreds of videos you can watch to learn overall theories and practices, or great shortcuts to help you work on particular drumming skills. You can spend hours on this channel learning, so make sure you jump right in if you’re serious about drumming, and check out their videos right now. Sax Casts is a great intro channel for beginner saxophone players, and they have 30 videos alone just for beginners! There are a few saxophone cover videos as well – if you’re interested in learning how to play some popular songs with your jazzy sax. If you’re looking for a place to start, try the Beginner’s Course – Stage 1; you can learn things such as how to position your hands properly, and how to make sure you get a good sound from your sax when blowing. Though music teachers can sometime be expensive, they are also not always convenient because you have to leave your home once per week to go and meet them at the music store or academy they work at, or in their home. 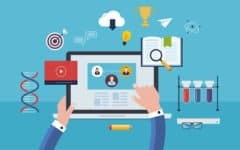 However, because of the Internet, many talented instructors are opting to do their lessons over live video with their students. Once you find the right teacher, you can schedule lessons with them at your mutual convenience, turn on your webcam, and get your lesson over live streamed video. This is a great way to learn because you can ask questions whenever they pop up, and get instant feedback from an industry professional on your playing. In addition, having the same teacher for months is a great way to track your progress, as they will continue to work with you over time, helping you improve in the areas you most struggle with. 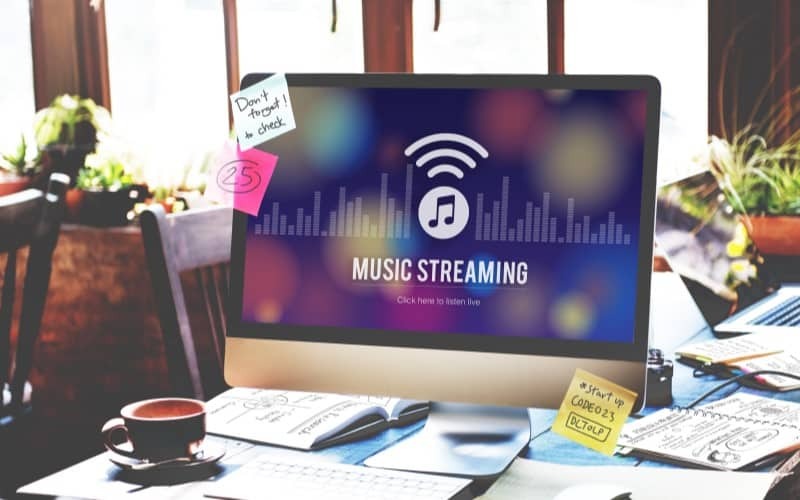 Below are our top three suggestions, but for a complete list, be sure to give our article on the best online music teachers a read. Lessonface is a website facilitates music lessons over live video stream (webcam). It connects those who come to the site looking to learn music with music instructors who are qualified to teach about the instrument or topic the student is interested in. Simply choose an instrument you want to learn about, and then read through teacher profiles until you find a good match for you. You can also see how much they charge for the lesson right away, so you can easily find an instructor that’s within your budget. Because the instructor is teaching you live, you can interact with them instantly – just as you would if you were paying for in-person lessons. Luckily, LessonFace has tons of qualified music teachers to choose from, so you’ll have many options, and most likely, won’t find it difficult to find an instructor whose rate and schedule sync up well with your own budget and availability. Similar to Lessonface, The Zoen uses live video feeds to teach students music over the Internet. The Zoen has even more teachers to choose from (hundreds), so you can really find an expert on the instrument you’re interested in. It’s also easy to get a good feel for the instructors on this site, as since there are so many, it’s easier to compare instructor profiles and see what their musical background is, what their interests are, and why they are qualified to teach you. You can quite easily see the price and description of each instructor before you choose to hire them, as well as their schedule so you can book a lesson when you’re mutually available. Cost: More of a range due to the greater number of instructors – from $10-$100 per 30-minute lesson. Live Music Tutor is another great website that facilitates the meeting of students and instructors for live video lessons. Working with students of all ages, including children as young as the age of three, this site is great for any level of learner. 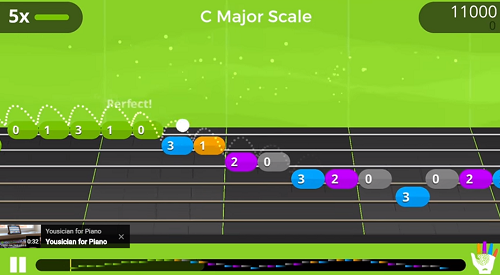 It’s also unique because it offers additional resources for music teachers, including lessons that are meant for an entire classroom of students, music-learning games for children, summaries of lessons you’ve completed, and even some free lessons with tips for your instrument. This website was also voted one of the Top 101 Education Websites in 2017, so it may be a good starting place for you if you’re serious about learning music! Instruments: A large selection, including the popular instruments (guitar, piano, violin, vocals, brass, woodwinds, percussion) as well as more unique instruments like xylophone, pipa, euphonium, steel guitar, organ, and more. Apps are a great way to learn music, especially if you’re just starting out. In general, apps that teach you music fall into two categories: those that teach you skills and general music knowledge, and those that allow you to play along with songs you like so you can learn to play them. Some apps even have sound-detection technology, which means that the app can listen to your playing, and give you instant feedback about whether or not you’re playing the right notes, if your instrument is in tune, if your timing is correct, and more. This is a great substitution for a real teacher, as you can still receive feedback on your progress, unlike with a standard online course or a YouTube video tutorial. 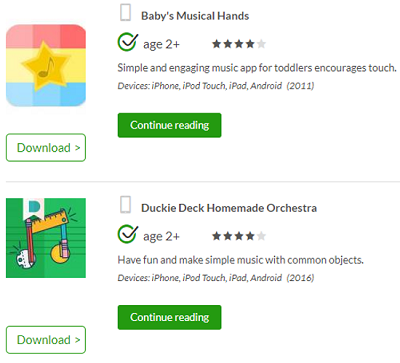 If you scroll down, you can see our list of the best music-learning apps out there currently. We’ll tell you about each of them in detail, what they cost, what they can teach you, and which one will be best for you. Be sure to scroll down to get the whole picture! If you want to be a serious musician, music theory is key. Luckily there are many places you can go online to teach yourself music theory. This is a great starting point, though many people get overly eager and tend to skip over taking the time to learn theory. However, if you put a few weeks of effort into learning even just the basics of music theory, your learning experience will be much smoother and easier overall. 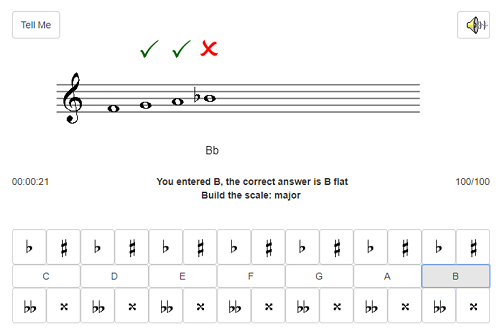 There are plenty of resources available to you for learning music theory online. Many of the instructors, websites, blog posts, and online courses we highlight throughout this article will have a theory component to them – because they know how important this is to a well-rounded musical education. 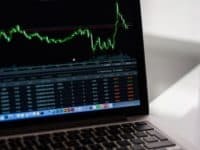 However, here are some of our top picks for learning theory online – hopefully one of them will suit your learning style. 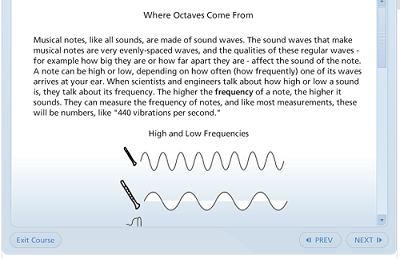 One of the best websites is EarMaster.com, where you can learn about music theory in such detail, studying a seemingly endless variety of topics that interest you. This site is rather text-heavy though, compared to a website like OneMinuteMusicLesson.com, where you can watch short videos (under two minutes) on a very specific topic of music theory that interests you. You may also want to check out a website like MusicTheory.net, which has simple and clear lessons set up like a course, so as you learn, you progress to the next lesson. This site also has plenty of illustrations and diagrams, which are extremely helpful to success in learning theory. They even have an app if you’d prefer to learn on mobile and take your lessons on-the-go! And finally, one of our all-time favorites is Berklee Shares, brought to you by the Berklee College of Music – one of the premier music study institutions in North America. Though the tuition to attend this school can be pricey, their free online music lessons are not! These lessons are crafted by real professors, and have tons of useful content and lessons that you won’t find anywhere else! Once you’ve accessed some of these resources and started learning the basics of music theory, it is entirely possible to teach yourself how to play the piano based on that knowledge. But make no mistake – it won’t be easy. Teaching yourself from theory is a much more difficult task, as you have no instructor to offer you advice, criticism, or show you how to fix you technique if you’re doing something wrong. The best place to begin is to make sure you have purchased, rented, or borrowed a piano or keyboard, because it will not be possible to teach yourself how to play the instrument unless you have it physically in front of you. If you’re not sure you want to sink a lot of money into your musical education yet, a simple keyboard like this 54-key keyboard on Amazon would suffice as a place to start learning. Learn to recognize the sounds of each individual note, at least along one octave. Learn to play your major and minor scales – and a few other scales as time goes on. Attempt some two-handed exercises to get both hands working. Find sheet music for a basic song such as Hot Cross Buns or Mary Had a Little Lamb and learn to play it. Try some piano speed and accuracy exercises to get your hands working faster. Find a more advanced song that you love and want to play, and slowly work on learning to play it. If you are interested in the piano and you want to learn more, we’ve got an article specifically about how to use the Internet to teach yourself to play piano. Teaching yourself guitar from theory is quite similar to teaching yourself the piano – and quite as difficult. Guitars have an added level of complexity as well, because in general, most guitarists don’t actually use sheet music to read/play music. Instead, they use guitar tablature – it’s very own form of music transposition. There’s a lot of added components (and some optional) that go into learning to play the guitar, so hopefully we can break down a good starting place if you’re trying to begin from a theory-only base. Remember that just as you would with a piano, you need access to a guitar in order to learn to play it. With guitars, you have more options than possibly any other instrument, so choose wisely. 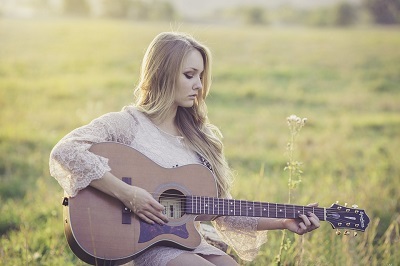 However, if you’re just starting out, a basic acoustic guitar would work, but if you know down the road you want to rock and roll, you might want to get a simple electric guitar and amp. To jump right in, try following these basic steps to teach yourself with a theory-based starting point. Think about how your theory knowledge applies to the specific parts of your guitar: the frets and strings specifically. Learn how to tune your guitar – first by using a tuner and as time goes on, by ear. Learn the notes of your strings and frets, and begin playing them to recognize the sound they make. Practice different strumming patters – playing any notes you like. Try using a guitar pick to play individual notes. Learn to play your major and minor scales. Work on finger placement accuracy by learning to play chords. Find a simple but recognizable guitar riff from a song and work on playing that melody alone. Find songs you want to learn, and try a variety of genres. 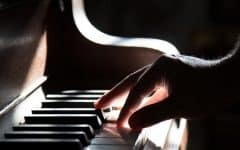 It can take months to perfect one song, so don’t focus on this so much as learning to recognize that you can play basic elements of a melody you recognize and love. This will help you work on more and more songs you like in the future. Just like with the piano, we’ve got future guitar players covered with an article all about how to teach yourself guitar online. We can teach you everything you need to know, and what you need to get started. Out of the many things you might learn, learning to read sheet music is one of the more difficult and complex topics. Especially if you’re new to the world of music, gaining the ability to make sense of music notes, notation, and symbols can be very difficult. It gets even more difficult as you work to become a sight reader – or, a person who can read sheet music as they play. This level of expertise takes a lot of practice, but you’ve got to start somewhere. Luckily, there are plenty of resources online to help you on your journey, so be sure to check out some of these websites to learn how to read sheet music, and then our list of the best sites with free sheet music for any instrument. 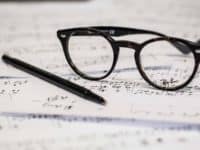 This blog post from MusicNotes.com has everything you could possibly want to know about how to read sheet music. You can learn about music note symbols and nomenclature, how they appear on a music staff, what key signatures are, and so much more. 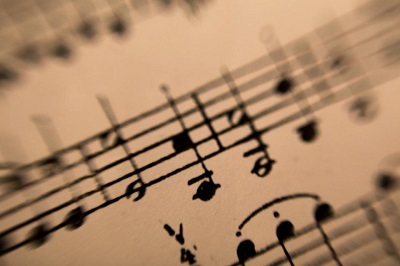 If you want an introduction to reading music in general, check this post out right away. 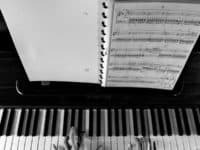 There’s also MusicTheoryAcademy.com, with its free lessons on how to read sheet music can teach you in even more detail, including topics such as how to transpose music, how to read chords, and how to read music specific to certain instruments. If you’re looking for something a little simpler, try the WikiHow.com lesson on reading music. You’ll begin with the basics, and then work up to more difficult topics like melody and rhythm. You can also check out the Community Question & Answer page, where someone may be able to answer any questions you have. 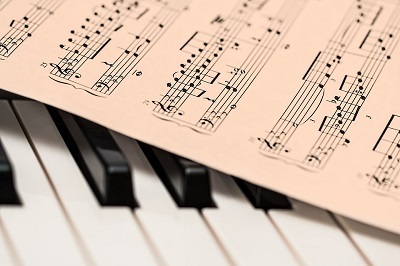 If you have a greater interest in focusing on how to read sheet music, check out our article on learning to read sheet music with online tutorials here. J.W. Pepper – This is one of the most popular sites out there for finding quality sheet music. This site is especially helpful for teachers who need sheet music for their classroom, as it contains choral, band, orchestra, and classroom-specific sheet music available for download. Musescore – This site allows its users to post their own transposed versions of sheet music, so it’s much easier to find music that you actually want – like the popular songs out on the radio now (though you will be sacrificing guaranteed accuracy). Easily filter your search by instrument, number of instruments, and even creative commons license. MusicNotes – This site has more traditional sheet music, but it is so easy to use! 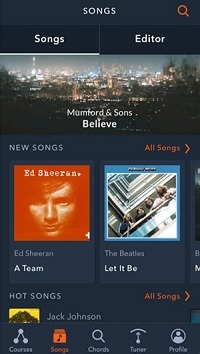 You can look for sheet music by instrument, by genre, by what’s new, and so much more. Each sheet is also broken down in the right column by which instruments its available for, how many pages it is, and so on. 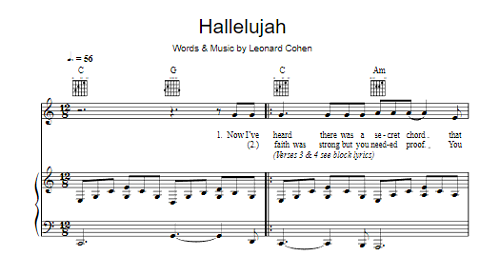 8notes – With sheet music easily sorted into categories on the home page, you can find your sheet music in no time. This site has tons of classical and traditional sheet music, as well as well-known rock and pop. MusOpen – This organization allows you to browse by composer, by instrument, by period, and by form, all of which are fully listed right on the home page. We certainly didn’t forget about those who need to teach music to children, as it can be particularly difficult to find reliable or useful resources online that can help with this. Not only do we have a nice list here of sites you can use to help you with teaching to children – whether you’re teaching your own child or a classroom of students – but we’ve also got some tips to help make the process a little easier. 1.Find games and activities that are visual and interactive. With children, the resources you access should be more geared toward music-learning games, or interactive activities that can help them retain the information as they learn – and make sure they have fun doing it. Forcing them to read articles about music theory day after day probably won’t cut it – especially if the student is younger. Games are a great option – especially if they are animated. Some games may even feature popular or familiar characters that the child would recognize, and this can help them maintain a level of interest in the subject matter; they may not even realize they are learning, and think instead that they are just having a lot of fun. 2. Start with the basics and ease into difficult concepts. Advanced theory concepts such as melody, tempo, rhythm, circle of fifths, arpeggios, intervals, etc. 3. Switch up your methods if they just aren’t getting it. If you find the child or your students are struggling, it may be that they either aren’t responding to the teaching methods you’ve chosen, or they’ve simply grown bored of it. It’s good to mix up the way your lessons are styled to determine which the music student responds to the best, and how they best improve their own skills. It’s also nice to try out different games, activities, lessons, etc. to keep it interesting and fun. 4. Remember that age-appropriate and skill-level appropriate are different things. A lesson that is age-appropriate means something that is suited to the child’s age – for example, younger children will respond better to animated games, while older children can generally focus on text-based courses, theory lessons, and simple images or illustrations. However, skill-level appropriate is much harder to evaluate, as some children learn much faster than others, or already have a basic understanding of some concepts. If you’re teaching an entire classroom of students, this will be much more difficult to stay on top of, and you may need to adjust your lessons to various groups of students based on skill level. If you’re focused on your own child, just make sure you’re considering how fast they learn and how quickly they are picking up concepts, just as much as you’re thinking about activities that are appropriate based on their age. 5. Remind them about practice and repetition. Practicing an instrument and music skills, and constant repetition of what they have learned is one of the most important factors in gaining success in music studies. Assign your students homework, and require them to practice at home to make sure they stay on top of their studies. Teaching music to children requires a different teaching style – especially if you’re working with very young children. Music learning games can be more visual and fun, and help a child focus on the information they are retaining, all while barely knowing they’re even learning! Check out our list of 4 great games to learn music that are targeted at children (or click here for our expanded list of the best music-learning games for teaching children). Common Sense Media is an incredible resource that helps teach children about online safety, usually through games. Luckily, they also have an incredible list of the best apps and games out there to teach music to children, including games with sing-along music toys, music quizzes, apps to help practice the piano, and much more. The list also tells you what age group is best for each game, how they have been rated by users, and provides a brief description of the game right away. There are over 50 suggestions you can look through! The styles of different genres of music, including: rock, jazz, country, salsa, classical, reggae, and more! All of the games have strong visual components, so they are probably more suited to younger children, but are great for retaining the information they’re learning. They also often feature characters from your child’s favorite television shows such as the stars of Sesame Street or a character like Curious George. Tonic Tutor has over 40 music games for your child, each one focusing on a different topic and learning outcome. Choose from lessons on how to read music, how to learn and play your chords, how to recognize a melody, and more. If you’re a music teacher, this site will be particularly useful, because you can create an account as a teacher, create accounts for your students, and track their progress as they work through the lessons that are available to you. You can even assign them homework (if they have home computers) and then see how they did with the activities you sent them. Another great feature is that each one of the games they can work with is themed – so they’ll feel like they are doing something new each time they get to work. If you want your child or students to focus on learning music theory, then Teoria is the site for you. There are dozens of tutorials on music theory, references for them to use, articles about theory, and more. One of its best features is its theory and ear-training exercises to help sharpen your child’s skills. You may also want to check out this site if you’re trying to teach theory to an older audience of music student, as its more formal than most of the other resources we’ve listed, and is geared more towards a mature student, though it’s still good for beginners! There are still visual components to the lessons, so don’t think it won’t work well for your younger students as well. Apps are a great way to learn music, especially if what you’re interested in is learning about a specific instrument. They often feature play-along tutorials, and can tell you how you’re doing as you learn. Check out our recommendations for the best apps to learn music that are available on the market right now for Android, and for iOS devices. Yousician is absolutely one of the best music-learning apps out there, and is your one-stop guide to learning to play the guitar. 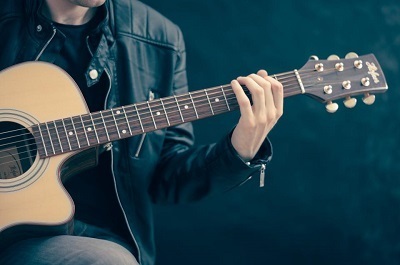 With lessons for traditional guitar as well as bass guitar, it has fun lessons that are easy-to-follow, and can help improve your skill set at any level of playing. Work through lessons and tutorials to improve your basic skills, or take a lesson a specific song you want to learn to play on the guitar; Yousician will give you a step-by-step guide to learning to play each and every note. Another guitar-learning app, Uberchord has many amazing features – the only reason it’s not at the top of our list is because it’s only for guitar, and currently, only available on iOS devices. Like the Yousician app, Uberchord has sound-detection technology and listens as you play, giving you feedback in real-time that can really improve your skills. It has lessons on how to practice strumming patterns, chords, rhythm, tempo, as well as sons by your favorite artists, such as Ed Sheeran or Michael Jackson. Uberchord also helps keep you on track with a daily guitar workout that keeps you in a constant routine for your practice. This app also gives you multiple ways to track your practice and how much work you’re putting into learning, which can be a big help if you want to be a serious musician. You can even set a daily reminder if you have a specific time that is good for you to sit down and practice, or create your own lessons and tutorials to share with others through the app if you want to practice being a teacher as well! 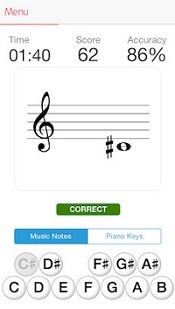 This is a sight-reading app, that helps you work on reading music, and get better and faster at doing it as you play. You can work on reading the bass or treble clef, and select a practice section of 1, 5, or 10 minutes. Eventually, with enough practice, you’ll be able to simply read music while playing, without having to stop and figure out which notes to play. 1. Try out a few methods of learning before settling on one. 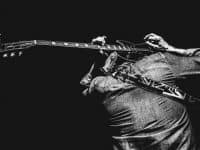 We’ve given you a lot of information, and things to think about; you’re probably feeling overwhelmed with how many options you have out there, and different teaching styles you can take advantage of to learn to play an instrument online. Don’t be afraid to try out all of the methods that interest you, or that you think you might like. You’ll figure out fairly quickly if you don’t like something, or if it doesn’t suit your learning style. You may even find that as you learn, switching to a new method can help improve your skills. For example, you may want to start with some text-heavy, theory-based learning to get the basics down, then switch to some interactive lessons or games online, change it up to some YouTube video instructional videos, and then work with a sound-detection app. If you find that you’re getting frustrated or not learning at the pace you hoped you would, you may simply need to change it up, and try out something new for a while. It won’t take too long for you to figure out what’s best for you, and what is going to get you on the fast-track to becoming a real musician. 2. Search for an experienced player and ask them questions. Try to find someone in your life that plays the same instrument, or studies the same kind of music, and ask them questions when you’re struggling. Their advice can be as helpful as paying for a real instructor or tutor – without the added fees. In addition, another person’s perspective on your playing can really help you figure out what you need to work harder on, and what you’ve already mastered. 3. Make your own notes, and create visuals to help you remember. As you’re learning online, you won’t have access to textbooks, printed notes, or diagrams to refer back to, as many traditional students do. You should consider making these notes and diagrams yourself, as it will really help you when looking back and practicing with your instrument. Diagrams and illustrations are especially helpful to learning music, especially music theory or learning to read sheet music. Seeing notes on a staff, and the different symbols you need to know in action is a much more effective way of retaining that information than simply reading about it, or attempting to play without it whatsoever. 4. Find an instrument to practice with, and someone to perform to. Even if you’re in the beginning stages of learning, having an instrument to practice with can make all the difference in the world. Something as simple as a recorder can really get you from theory-learner to music player in a short period of time, and make it easier for you to progress to more difficult instruments such as the piano, guitar, drums, or violin. It’s also very helpful if you can find someone to listen to you. You don’t need to be perfect to play for someone; in fact, it’s helpful in the beginning stages to have someone listen and provide constructive criticisms for you. You’ll learn right away what you need to work on, and even what styles you’re better at playing, or are more suited to your skill set. They might have suggestions for improvement, or even ideas about where you should take your learning next. At any level of proficiency, having someone listen can be a game-changer. 5. Practice as much as you can, and create a routine. We cannot understate how important it is to practice your instrument – especially when your learning is self-taught, and based on online resources. Without practicing your instrument, you can’t hope you get better over time, or retain any information you’ve learned. 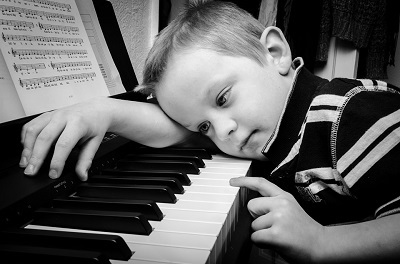 A lot of playing music is muscle memory; your fingers, hands, and arms remember which notes to play in what order. But in order for this to be effective, you must practice over and over. We’d recommend setting yourself up with a weekly routine, setting a few hours aside at least once per week to expand on your learning, and practice your instrument. If you’re serious about learning, you should do this at least three times per week, however, the most successful musicians set at least a little time aside each day to work on their craft. Set up a schedule or get a day planner to work in times to practice. Make sure you plan around your other responsibilities (work, school, etc.) and choose times when your mind is still keen for learning. Don’t always leave your practice until right before bed; you’ll be tired and your mind won’t absorb any of the information you learn. Always stay vigilant, and force yourself to practice; it’s the only way you can master a musical instrument. 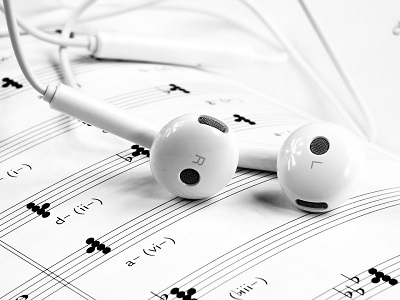 We hope this expansive guide helps you on your journey to learning music online. Teaching yourself can be hard work, so remember our tips and tricks, and check out as many resources as you can, as you never know which one might be the most effective for your learning style. Be sure to check out the rest of our website, where we have plenty of step-by-step tutorials and informative articles that can help you learn other skills online!